At first glance, Kimora Hudson seems like a normal teenager. Her interests include swimming, sleepovers, school football games, and hanging out with friends. But it’s her knack for academic excellence and exceptional intellect that makes her a standout. 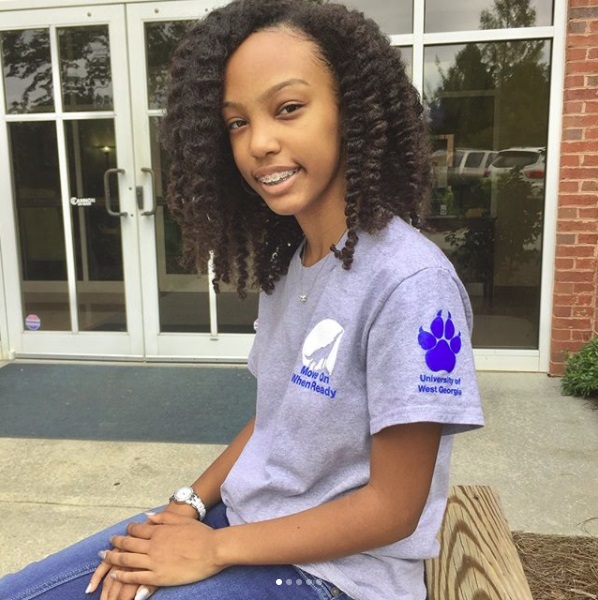 At just 13 years old, she’s the youngest student to be accepted and taking classes at The University of West Georgia (UWG). Instead of attending middle school, Hudson is currently enrolled in the university’s Move On When Ready/Dual Enrollment program, which allows students in grades 9 – 12 to earn college credit while working on their high school diploma, reports the Atlanta Journal Constitution. Once she completes the program, the teen genius will be will be on the level of a college junior in about two years. “I’ve always raised my hand first in class. That just felt normal to me. But when I started getting accepted into really advanced educational programs, I started thinking, ‘OK, I’m really smart,'” she told the AJC. Although the MENSA candidate is modest about her academic ability, her parents say they knew she was special when she was just a baby. Recognizing her daughter’s brilliance, Fawn signed her up for a variety of fast-track curricula, including Duke University’s Talent Identification Program, a month-long online learning session for 5th and 6th graders, and Vanderbilt University’s Summer Academy, a week-long residential academic experience for advanced 8th through 12th graders. 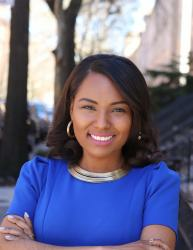 By the time Kimora reached the 7th grade, she was taking the college entrance exam ACT. Despite being intellectually advanced, Hudson still faces the same challenges of any young teen. In a recent post published on her personal blog, she admitted that she’s still getting adjusted to college life. Last month, she blogged about her first day at the school, revealing how shocked her college classmates were when they realized she was taking their class. Hudson hasn’t declared her major yet but aspires to work in the sciences as either a marine biologist, veterinarian, surgeon, or psychologist. Who knows, she may end up doing it all.